Rose, David Christian 2014. Five ways to enhance the impact of climate science. Nature Climate Change, Vol. 4, Issue. 7, p. 522. 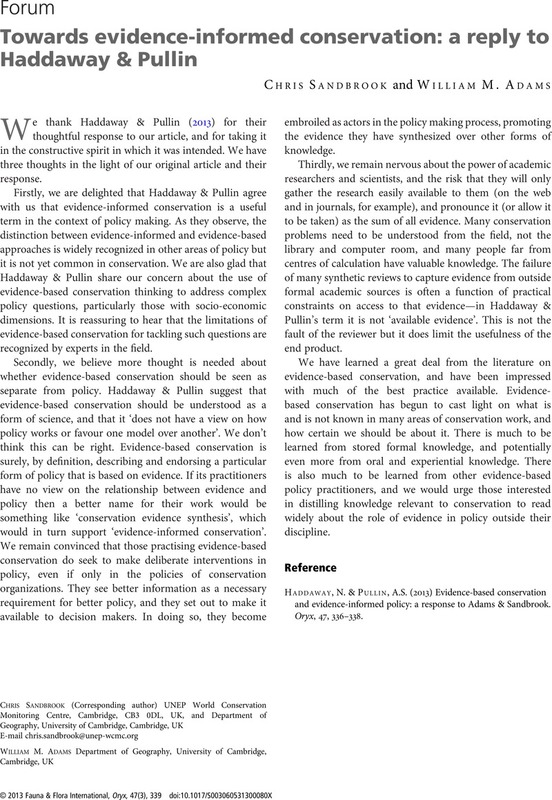 Haddaway, N. & Pullin, A.S. (2013) Evidence-based conservation and evidence-informed policy: a response to Adams & Sandbrook. Oryx, 47, 336–338.